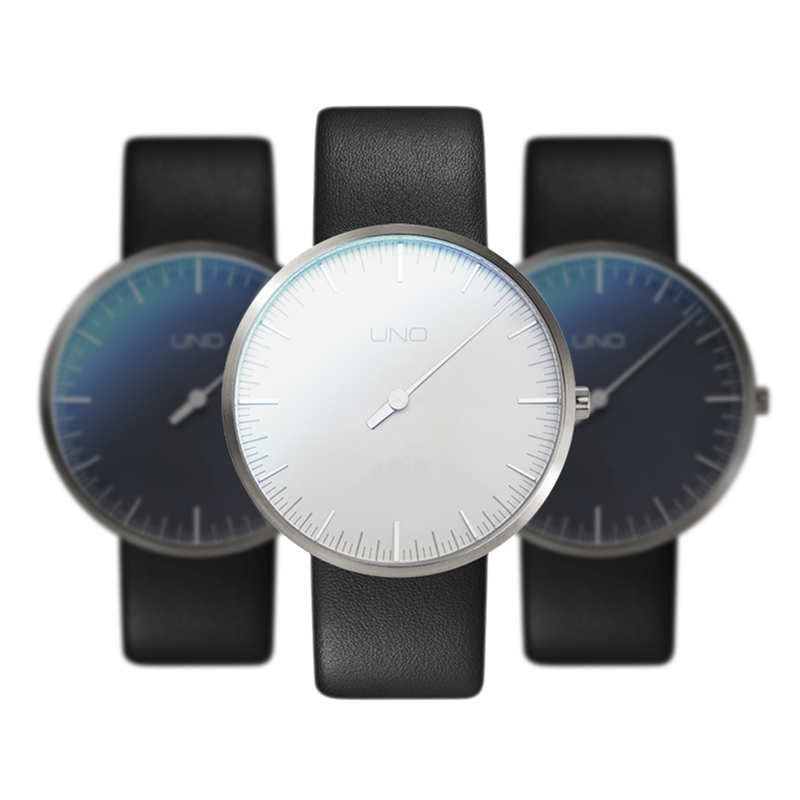 To celebrate the 30th anniversary of the UNO concept, we at Botta-Design are offering 3 special edition2 of our design classic. It goes without saying that the layout of the time display corresponds exactly to that used in the first UNO one-hand watch from the year 1986. The anniversary model boasts significantly more sophisticated features, however. For instance, the pearl black dial is adorned with twelve machine-polished precision appliqués. The discreetly reflective hour markings and hand provide just the right contrast to the silk mat dial. 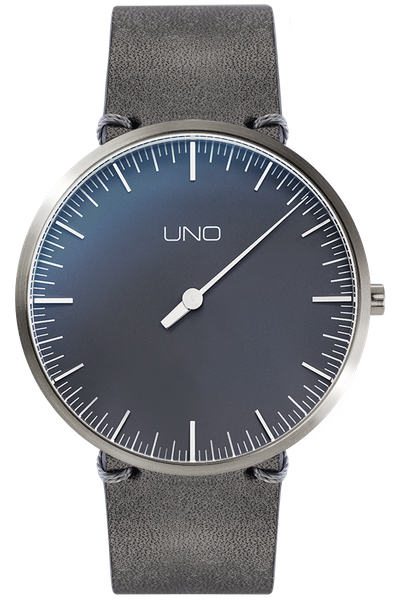 The platinum-coloured minute division corresponds exactly to that used in the original UNO design. The use of the tapered appliqués required the hand and upper part of the case to be designed especially. 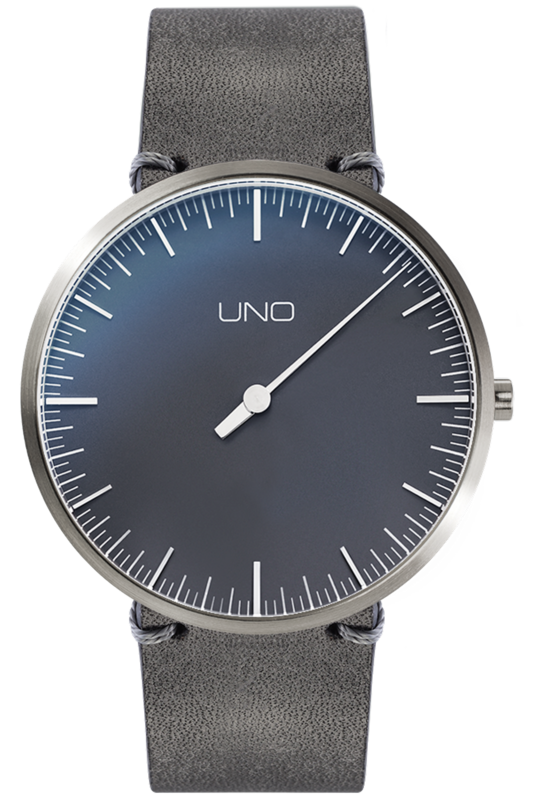 Thanks to the clever geometry of the UNO case, however, the anniversary model also features an extremely flat and elegant appearance. The 40mm titanium version is particularly comfortable to wear thanks to its lower height and significantly reduced weight. You have the choice between several high-quality strap versions. 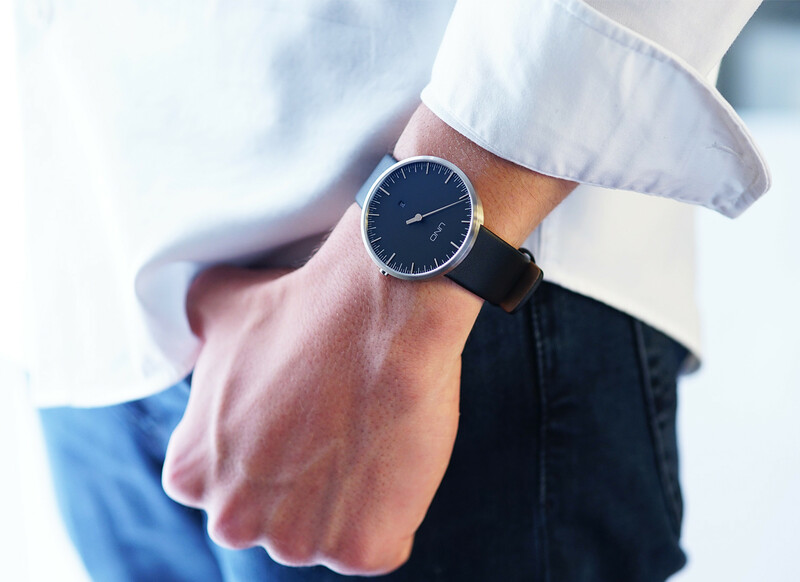 A hand-made dark-grey full-grain leather strap, a smooth, black Nappa leather or rubber strap are available for this special model.The titanium bottom of the 40mm quartz model was likewise completely redesigned. This is where you will find not only the special anniversary marking but also the watch’s individual number. The anniversary edition of the UNO is without doubt the most elegant and high-quality UNO model that we at Botta-Design have ever created. 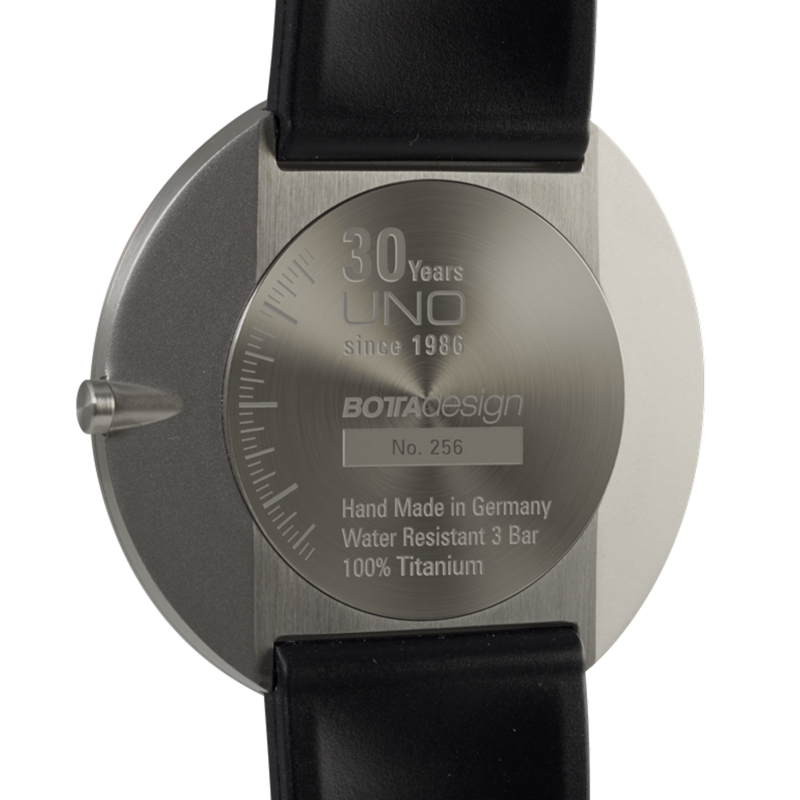 The anniversary UNO Titan one-hand watch from Botta-Design is driven by a Swiss-made Ronda quartz movement. Unlike the much cheaper “Swiss-parts” movements, the components in this movement are manufactured and assembled entirely in Switzerland. The original Ronda movement ensures that the UNO will run smoothly and precisely for many years, which reflects the Botta principle of technical and design durability in its German-made watches. The Anniversary UNO Titan pearl black Quartz will be shipped . Until then, the model can be pre-ordered at a discount of € -498. Shipment will be on a first come, first served basis.